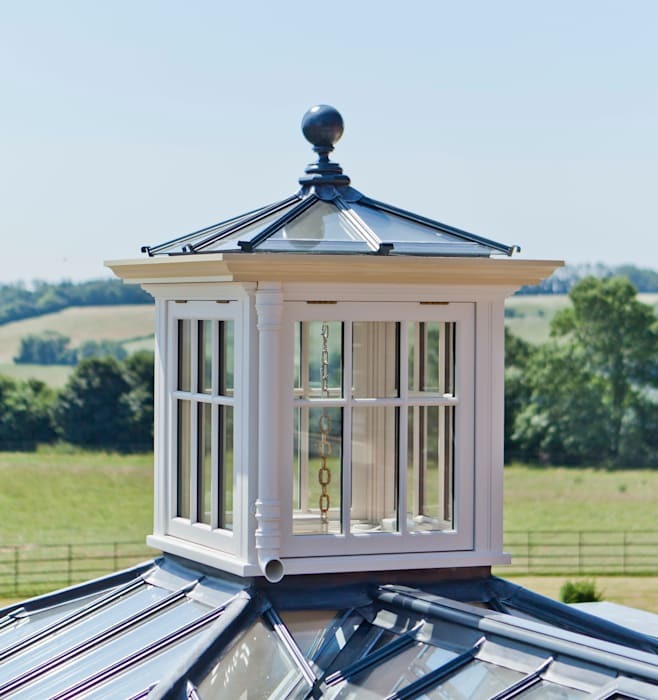 The design incorporates a feature lantern and large flat roof section linking the conservatory to the main house and adjacent buildings. This project utilised our building services which handled all baseworks and associated detail. Folding doors open the conservatory onto spectacular views of the surrounding parkland.